In total, 17 young women were selected to attend the event, from 9 of the 10 Region 5 countries according to their experience and facilitation skills. They were trained to act as Sport for All multipliers and themselves lead the “Women Leadership Through Sport for All Programme” in their respective countries. 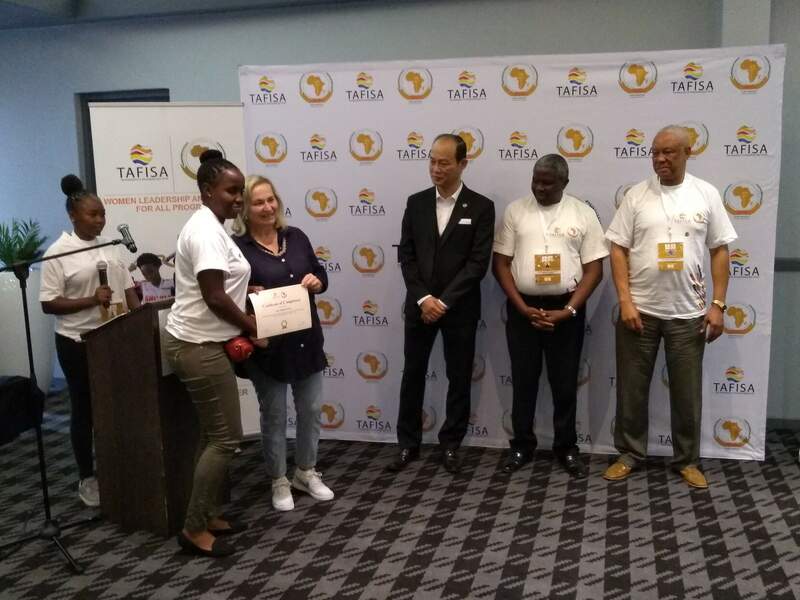 They will be responsible, back in their homeland, to further train 20 more Sport for All leaders each, and organise TAFISA Certified Leadership Courses in the 10 countries. During the seminar, the participants learnt about the concept, contents and curriculum of the WLP, the Sport for All movement, strategy making, programmes and events in Sport for All, as well as leadership, management and facilitation skills that will enable them to lead the programme back in their countries. 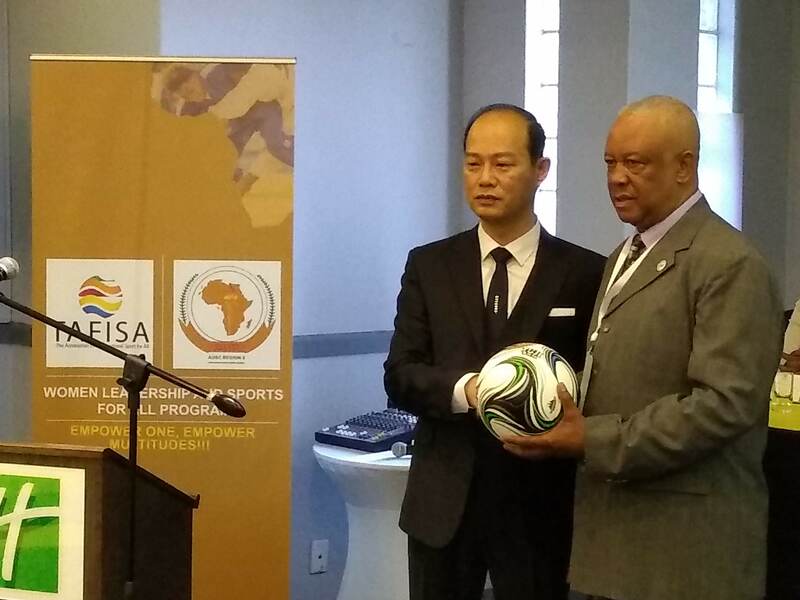 The seminar also provided a platform for TAFISA and AUSC Region 5 to formally acknowledge and thank TAFISA’s partner Nassau for their donation of sport balls for an amount worth USD 10,000 to the region, as Nassau’s General Manager Mr. Ho-Cheol Lee joined the party. TAFISA also thanks Nike Inc. Global Community Impact’s Claire Richter and Foundation For Development and Peace’s Marion Keim-Lees for their partnership, joining the event and sharing their experience. Advocacy: Streamline the inclusion of Sport for All and physical activity as part of the policies, strategies and processes of AUSC Region 5 and its member countries (Ministries of sport and National Sport Commissions). Each AUSC Region 5 country will nominate a Sport for All referent. 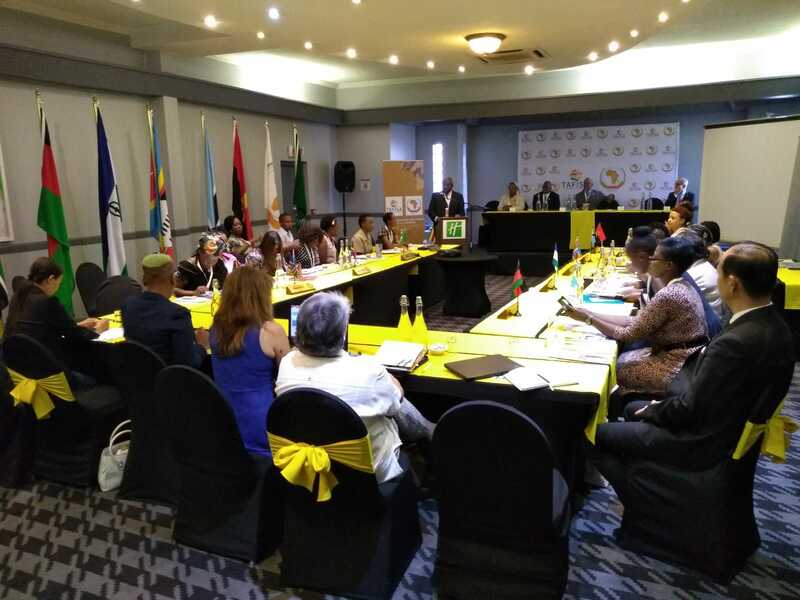 Education: Sport leaders from the ten Region 5 countries will be trained to develop and lead the Sport for All Movement including Gender empowerment through the Women Leadership Programme (WLP) and TAFISA Certified Leadership Countries. Promotion: Organize the African World Walking Day, or “Walk for Life” in all ten countries. Congratulations to the following leaders for their successful participation in the seminar, and all the best for the next steps! TAFISA thanks the AUSC Region 5 office for their incredible work and partnership.